Every year nearly 40% of the country’s usable food supply ends up in the trash. At the Food Bank of Northwest Indiana, we don’t believe good food should go to waste, so we work with more than 40 local retail stores and restaurants to rescue this food from going to the landfill and put it on the plates of our hungry neighbors. 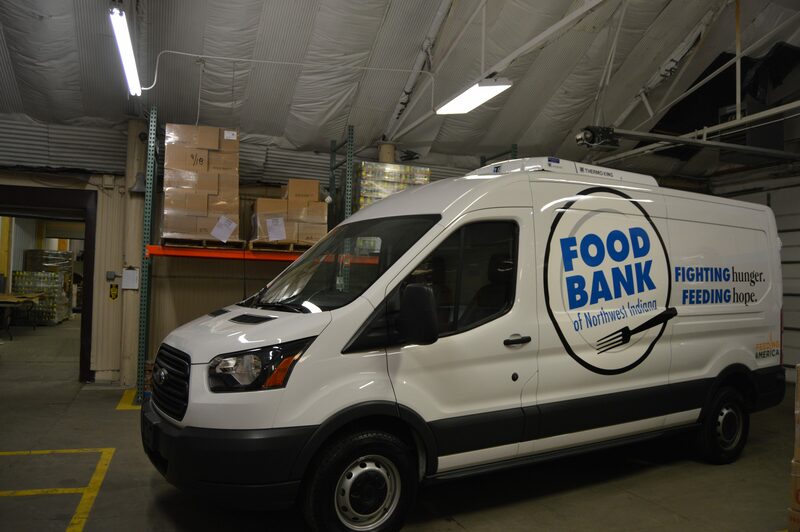 Every week Food Bank drivers are out in the community rescuing good food so it can be redistributed to pantries, soup kitchens, and other partner agencies across Lake and Porter counties. 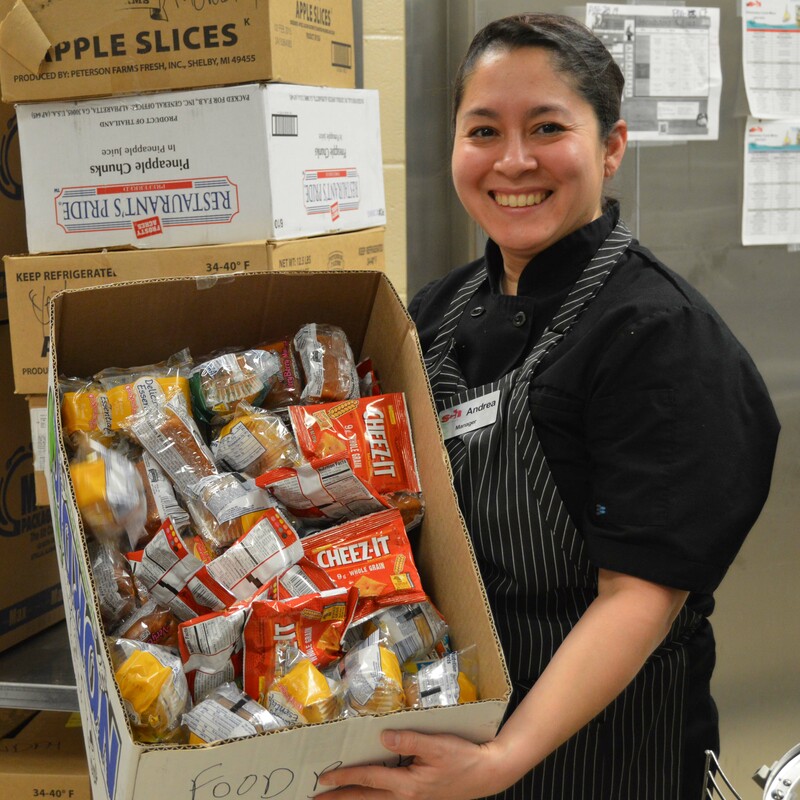 More than 22 million “perfectly good” food items are thrown away annually at Indiana schools. So in 2015 we partnered with School City of Hammond to rescue good, prepackaged foods that would normally end up in the garbage. Students simply put unopened food items in bins in the cafeteria and Food Bank drivers pick them up and redistribute them to local pantries, soup kitchens, and other partner agencies. 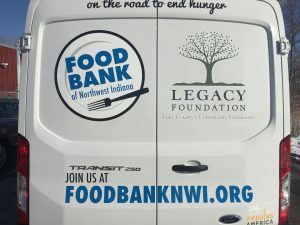 Learn more about Food Rescue in Indiana. 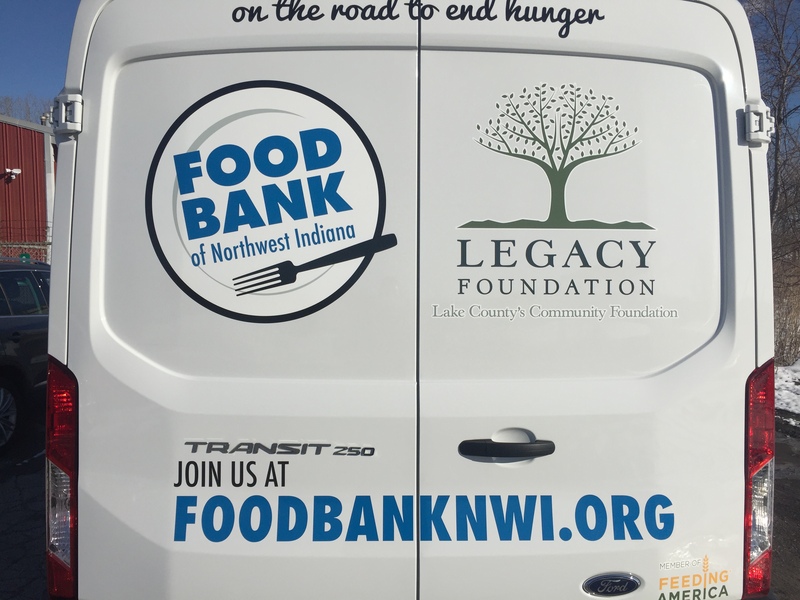 Thanks to the generous support from the Lake County Community Fund at Legacy Foundation, the Food Bank was able to purchase a beautiful new vehicle that is used to rescue even more good food from School City of Hammond. This year alone we rescued more than 24,000 pounds of food from 11 schools—that’s more than 20,000 meals that we sent back into the community to the people who need it most! Nobody should go hungry while good food goes to waste. Donate today to support hunger relief programs like Retail Rescue and School Food Rescue, and help fight hunger in Northwest Indiana.